Thirteen students from colleges and universities around the world were honored tonight (June 9) as winners at the Academy of Motion Picture Arts and Sciences’ 39th Annual Student Academy Awards. The medal placements were announced at the awards ceremony, which featured as presenters actors Laura Dern, Cuba Gooding, Jr., Greg Kinnear and Mena Suvari alongside Academy President Tom Sherak at the Academy’s Samuel Goldwyn Theater. *Only one winner was selected in this category. To see the journey of the 2012 Student Academy Award® winners, visit Studentacademyawards.tumblr.com. Winning films will be featured at two upcoming events. On Sunday, June 24, the Palm Springs International ShortFest will screen the Gold Medal-winning films. The Festival takes place June 19-25. For ticket information, visit www.psfilmfest.org. On Wednesday, June 27, at 7 p.m., the Academy, in partnership with The Charles Guggenheim Center for the Documentary Film and the Foundation for the National Archives, will screen the Gold Medal-winning films. The event is free and open to the public, and will be held in the William G. McGowan Theater of the National Archives Building in Washington, D.C. For more information, visit www.archives.gov. The Academy established the Student Academy Awards in 1972 to support and encourage excellence in filmmaking at the collegiate level. Past Student Academy Award winners have gone on to receive 46 Oscar® nominations and have won or shared eight awards. 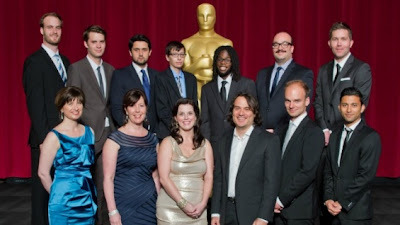 At the 84th Academy Awards earlier this year, 2011 Student Academy Award winners Hallvar Witzø and Max Zähle were nominated in the Live Action Short Film category for Tuba Atlantic and Raju, respectively. James Spione, a Student Academy Award winner in 1987, earned a nomination in the Documentary Short Subject category for Incident in New Baghdad.